Opinion expressed is not necessarily the viewpoint of Architectural Business Magazine and the caveat to the article is a temporary viewpoint based on casual observations. 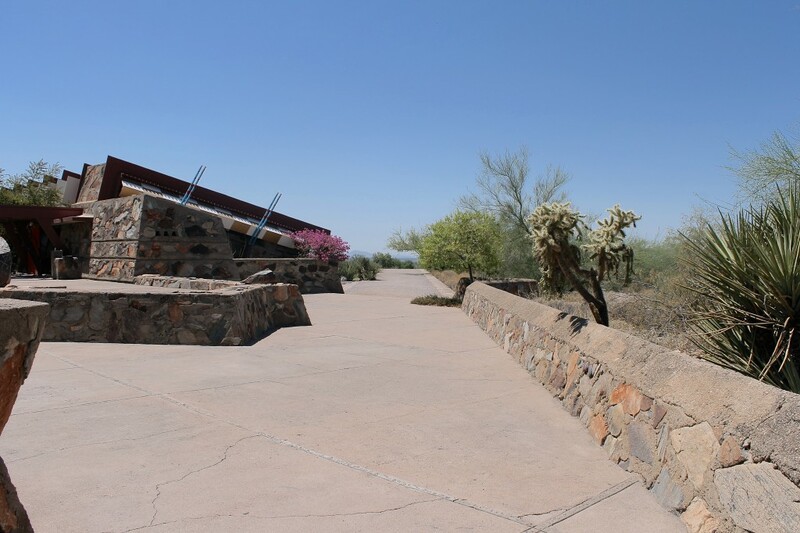 To build of the land, of the structure, of the air and sky, and in the brow of the mountain was the lesson and the legacy I believe Frank Lloyd Wright left. Somewhere between 120º and 130º most normal people stay out of the desert. 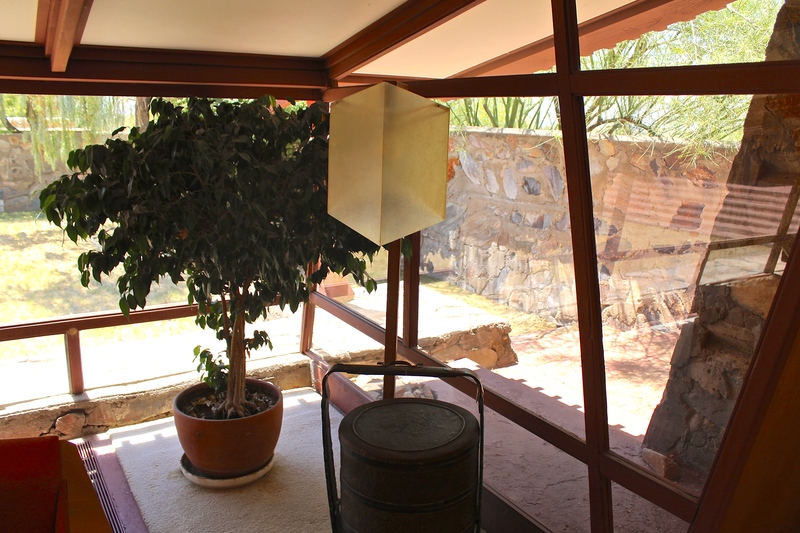 Even Frank Lloyd Wright never stayed when the temperature climbed above 100º. On this first trip to Taliesin West, my confident daughter and I made the pilgrimage. You might say it was foolish. 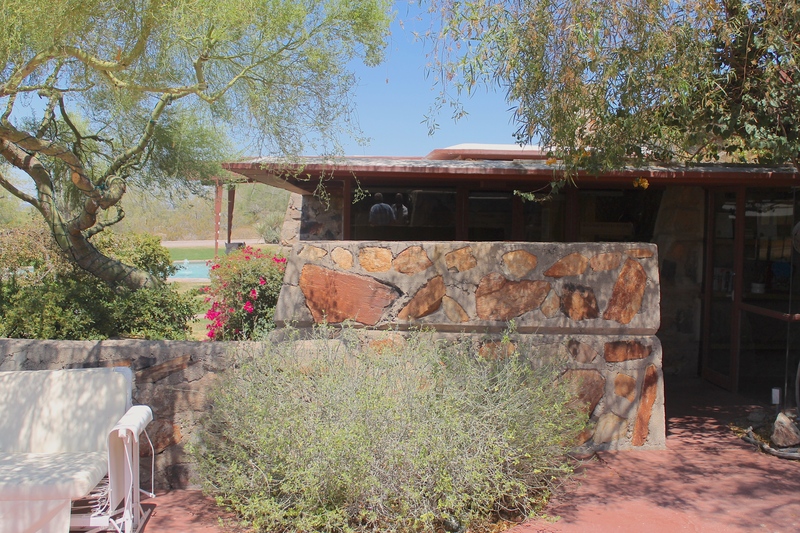 I thought it was brilliant, to see how the tent culture of FLW gave way to the glass enclosed homestead carved out of virtually nothing came about. We weren’t disappointed. The desert heat notwithstanding, our tour started in the air-conditioned bookstore. Here’s where the well-water that FLW discovered on their second year dispenses it’s all natural goodness. To be sure, the health department makes monthly tests of the water’s potability. Is nothing sacred anymore? With water bottles filled, off we went! As the working photographer for the print and digital publication for over twenty years, I started snapping photographs. I took shots aligned with the walkway, the prow, the pool, birds flying by. It was like hey buddy take a chill pill. So, I began to take stock in a different light. I started to look for those angles that Frank must have debated about a thousand times, with students, staff, clients, and himself. What was it like to be in this guy’s head, to think like the genius he was? My photos began to come alive. It was as if the master himself whistled them to me on the wind. Hey, look here. We’re all gone now, but take a look over there. Shoot this. Shoot that! Did you ever see this angle of the private office? The devil is in the details. What are the details? How were they made? What is original and what was replaced? My questions were endless. I’m going to need more time I told myself. Ok, time to focus on Don M. our extra-cool very articulate tour guide. Was he here in the beginning? Most likely. If not, for a very long time. How cool. Great. What’s he talking about? Frank Lloyd Wright loved Japanese theater art? I think I knew that. He had students glue broken pieces together at the front entrance? Did not know that. Looks like they used concrete. How weird. Right, they didn’t have gorilla glue or acrylics at all for that matter. All of this place was originally built from locally purposed materials they dug up on-site. 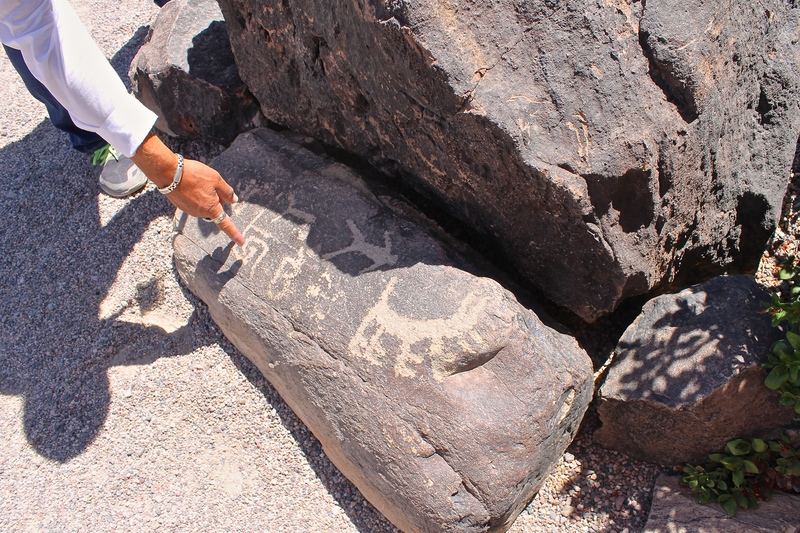 Right at the foot of the entrance is a carved stone that is bearing the 2,000 year-old Sanskrit and logo of the indigenous people that lived in the region. A kid sat down on it. Don said jump, and the kid got off. He’s going to be an architect some day I’ll bet and a good one. 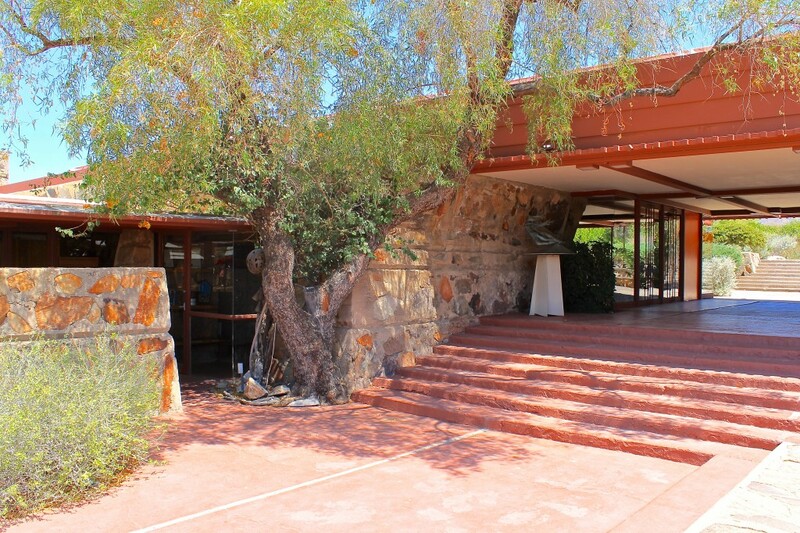 People have often said that Frank Lloyd Wright was a slight man, but his presence larger-than-life. One thing that I learned on the tour is how true this really was in every respect. The doors to his office which were first on the tour were short. Only about 5’. They were well built out of steel with pins instead of hinges. If it was anything like my house the parts were probably outsourced from leftover materials from other jobs. It was nice to see the continuity of this detail pretty much throughout the tour. Adding to this the knowledge that the compound was built over almost 26 years, the quality definitely increases over time. Some of the details that are found at the front office are not used in the later buildings. It is quite interesting how the roofing is designed. There are rafters of 2×12 on end and instead of the rafter being covered with a sheathing as is common today, the glass, or canvas back in the day is sandwiched in between in 16” back stepping intervals. All of these panels are removable. Not sure how that was waterproofed. 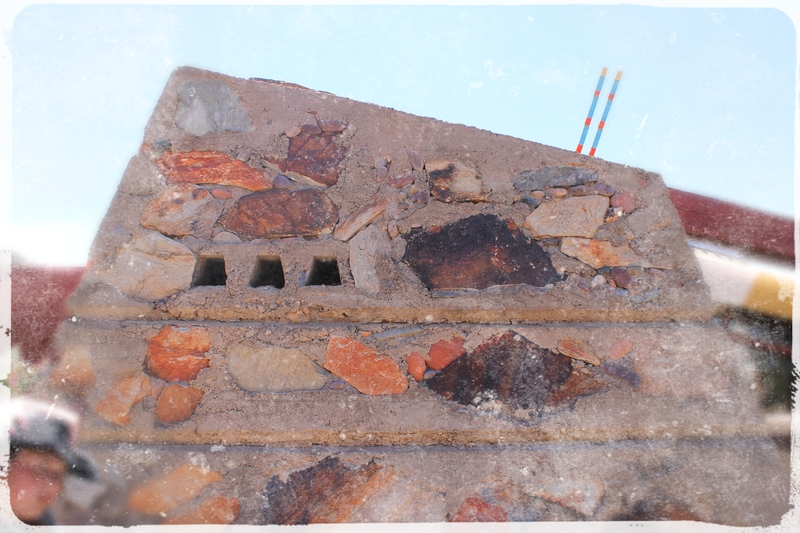 The Foundation has added more permanent covers to the existing (original) canvas covers. This sort of invention is gone by comparison to the homes which have dwarfed the estate on both sides. What struck me most on the tour was two-thirds through the tour where we stopped to take a look at the Master Bathroom. It looked like the interior of Howard Hughes’ New York apartment. 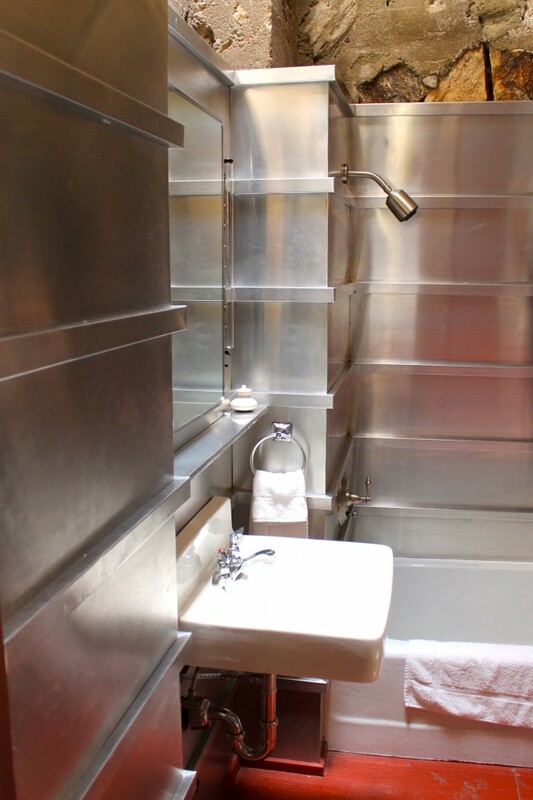 It was very streamlined, almost art deco in it’s use of materials. All stainless steel. Not a single rivet showing. It was a masterpiece of metal work. 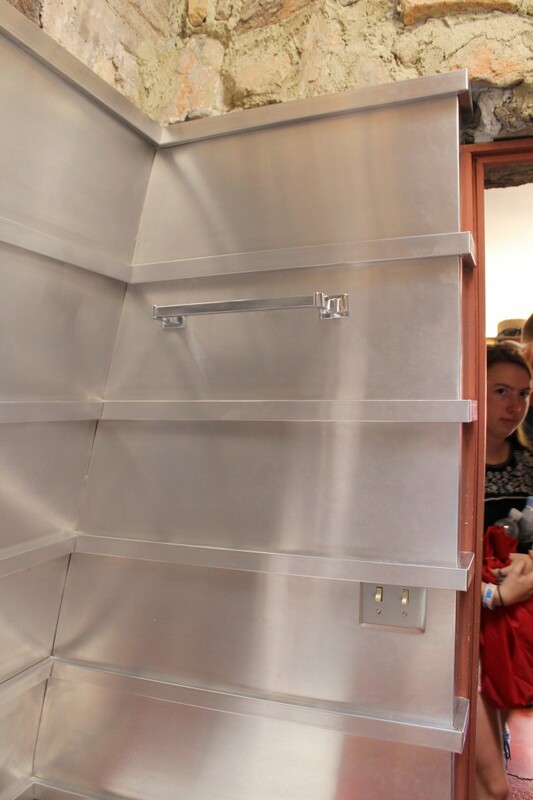 Should have asked Don if he had a student who was a metal worker who built that installation. It was perfect, warble-free, and astounding. Would have been nice to know about this particular detail earlier, although it may not resonate with today’s standards, contextually this is awesome in the age of early flight. Of course there are more details along this tour which served to remind me that architecture is about imagination. I’m not talking about imagineering, and fake plastic rocks. I’m talking about the unlimited use of the architectural way of thinking. 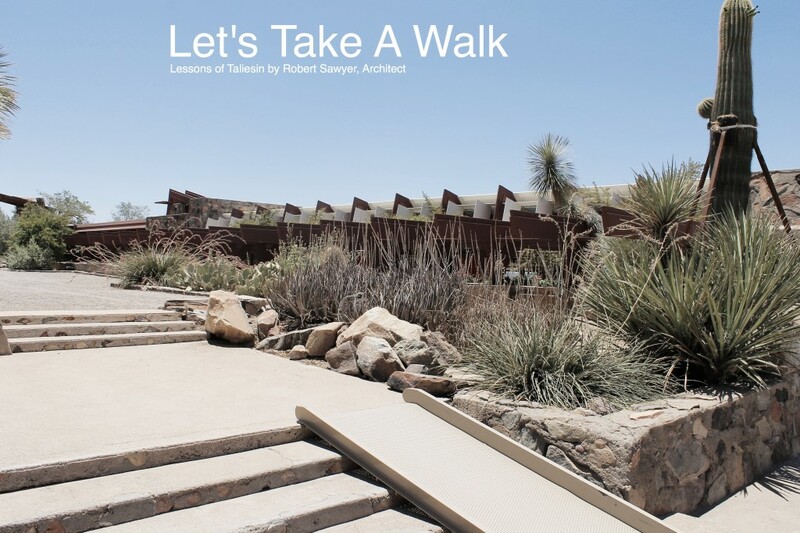 How many architects today settle for what the client wants? They don’t even know what they could get, and further, they don’t care! Clients choose to side with the contractor. Better yet, hire the contractor then tell him to tell the architect what he wants. Houzz is an idea book of sorts which is a powerhouse online resource. However, recently after painting a beautiful indigenous recreational landscape for a client, their response was: my interior designer said here’s a couple hundred photos on Houzz we like, draw that! What would Frank say? I have an idea. Ideas are thwarted somewhat by inclination to be led versus becoming innovative. Follow the leader and leapfrog are today’s hot trend. And, truthfully probably has been forever, we now just are force fed it without mercy. Where is the art of reinvention, of overcoming obstacles, of dealing with reality? It appears that much is lost in translation that Frank Lloyd Wright did in the desert to answer the actual needs of the environment. Tent structures, low to the ground. 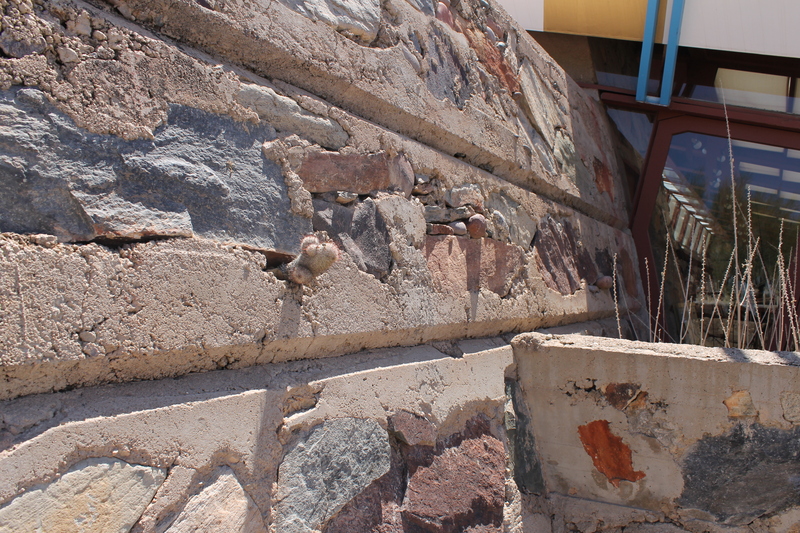 75 years later there are still gaps in the walls where the door jambs meet the rocks. This is art, and it’s purely functional. No caulking, no hermetically sealed plastic bags delivering stale semi-cooled air! 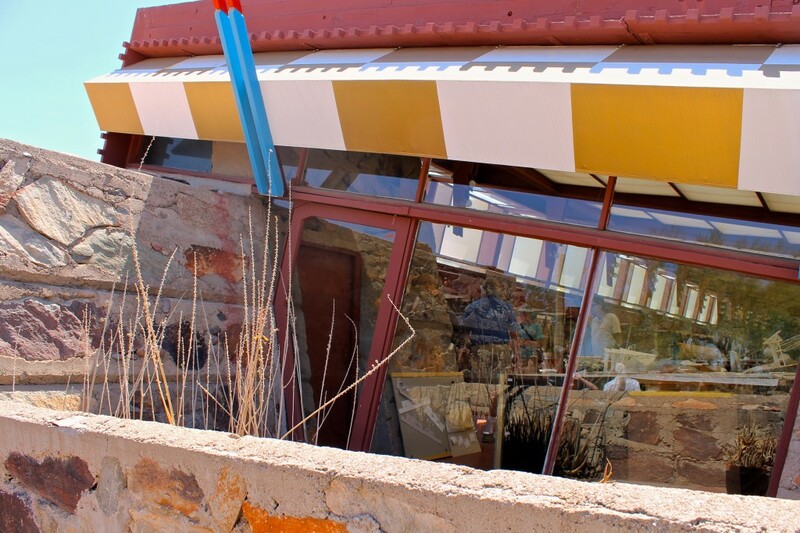 It’s terrible to see what builders who know nothing about organics, and who could care less (from example,) have stamped out on the earth surrounding Taliesin, and all over the world. 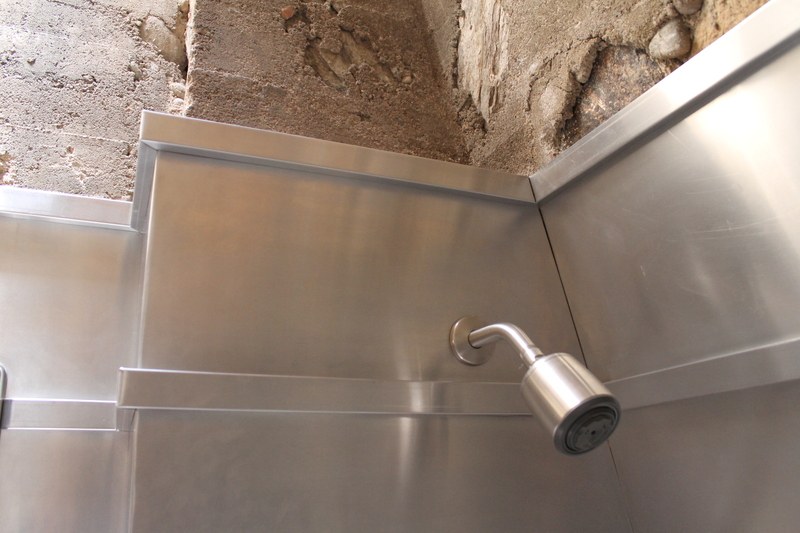 Bad conceptual planning, and even worse deployment is design and site planning run amok. The builders of these monolithic pieces of uninteresting, non-performing LEED credentialed jokes display their signs, look at me: I’m sitting on top of the ground! Because these new developments are packaged as approved for habitation by the powers to be – everyone from the realtors to the City is to blame, it sells. Sadly, the buyers have no idea what the collective loss is to the fabric of architecture, nor do they care! Somebody please pass the Chlorine tablets, my pool is growing mildew. Huge buildings with their PVC roofs melting away with three toilets flushing constant fresh water per household. Where once there were none, now there are tens of thousands. Some even have grass for their yards. Frank would have cried. Or died. Forget about the one line power pole he went all the way to the White House to have removed. Frank, they’ve put about 13,000 more power lines encircling your brow like an offshore drilling rig that’s been trapped in a seething power line fish net the size of the City of Chicago. So sorry. They missed your memo. They are pigs in the desert. Nature is irrelevant to a pig. Hunter S. Thompson has left the building. Do architects really know how to passively heat and cool a building? Do they really study that? Some say yes, I say no. In order to passively conduct a radiant heat experiment you have to live in it. You have to sleep in a tent and say my God what is this breeze? How can I contain it? How can I release it? Do you learn that in school? No. If there is anything more important about being human than studying architecture, real architecture, and nature, I haven’t seen it. We are all products of our environment. Today while the green movement is still alive (it won’t be here forever) is that we charge our students with the principles that Frank Lloyd Wright called for. Nature. It’s because unless you are with the environment you are fighting against it. Fighting nature isn’t going to get you anywhere. Let’s get out of our cerebral thinking and get real here. Air conditioning is not required when a building is designed to respect the site. In fact I believe that passive cooling can be rejuvenating, and feel better than preconditioned, recirculated air. 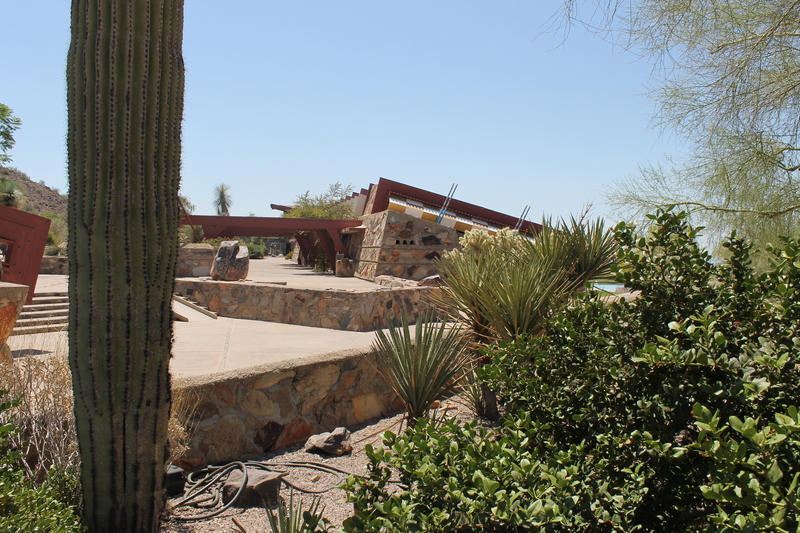 If I learned anything at the Taliesin West home of Frank Lloyd Wright, it was the fact that there is such a dichotomy that exists in the world today. There are huge advances in public perception of green initiatives such as Leed, AP, and GBC, etc. but at the same time much of what these agencies serve to protect and foster is lost in the actual translation as to what it is to be truly sustainable. Sustainable isn’t the same as recyclable. Agency thinking and consensus building aside; I beg to differ with the Hers verification tests on a building that sits on the land. I fear that these agencies already grapple with initiatives such as policy making and social media where the ultimate 73% density photograph almost instantly gains any product or policy green status. The dichotomy isn’t inclusion jealousy either, it’s a real concern for what the model for efficacy really is. What’s on the table is a bunch of meaningless translations. Lost on the public are the lessons that Frank left for us on a median scale. As I drove away from the Taliesin property I felt a real resentment for those power lines. ARCHITECTURAL BUSINESS MAGAZINE requests full World Heritage Site status for this landmark of design and technology. 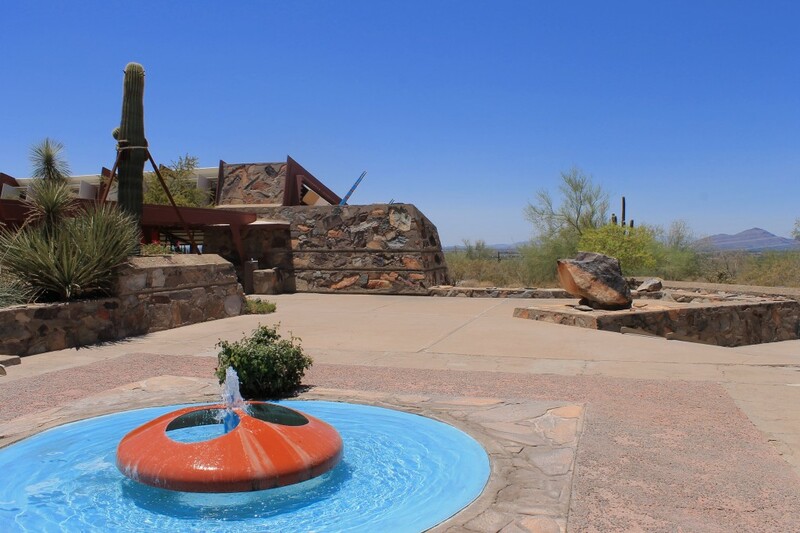 No builders were harmed in or around the Scottsdale area during the writing of this article. Beautiful photography and great storytelling Mr. Sawyer! 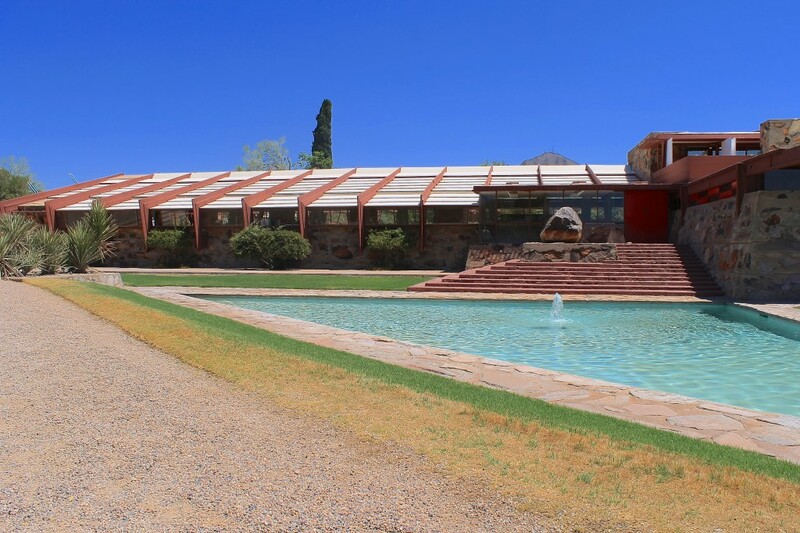 Nice to have a publication that caters to real journalism and I agree; Taliesin West should be considered a World Heritage Site and be given the highest protections that can be bestowed. 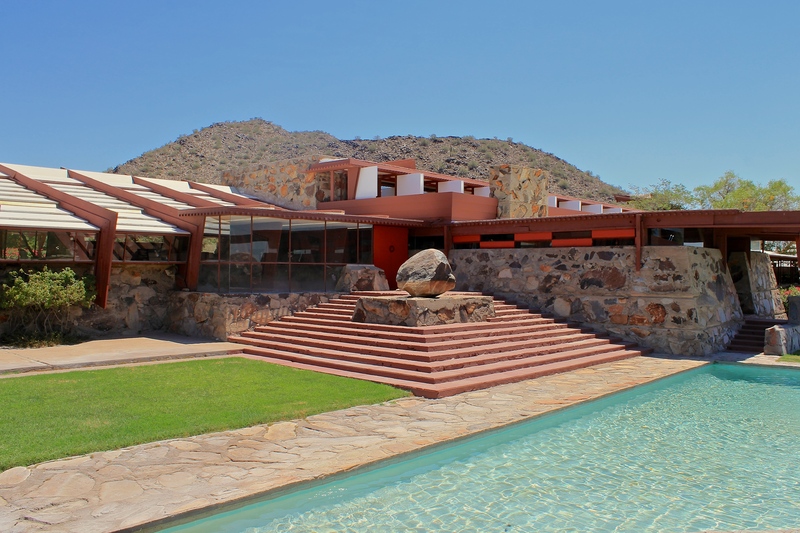 This article is a great kick-off to a discussion on organic architecture. Please let us know if you have any ideas about this topic below. Thanks! 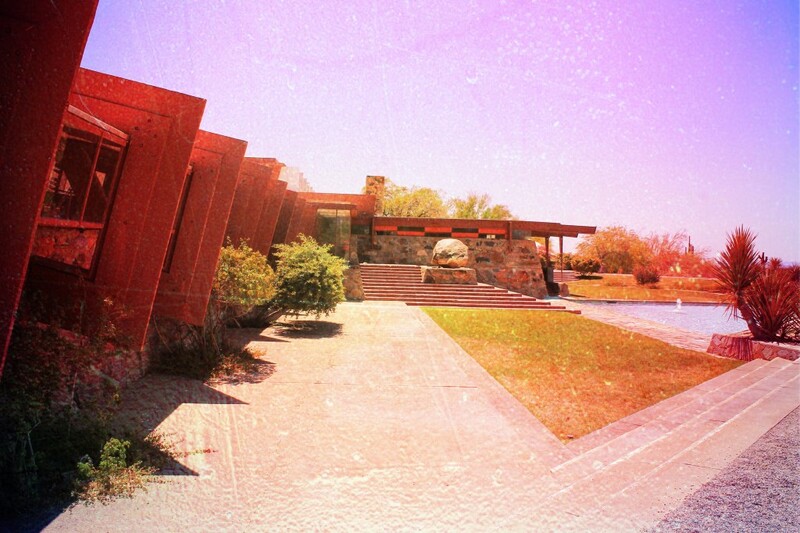 Organic architecture to me is derived out of the ground not necessarily a fixture which is erected on it. Embedded in the framework if you will are all of the vertical elements still derived from a form follows function discipline. What is organic about inorganic objects? 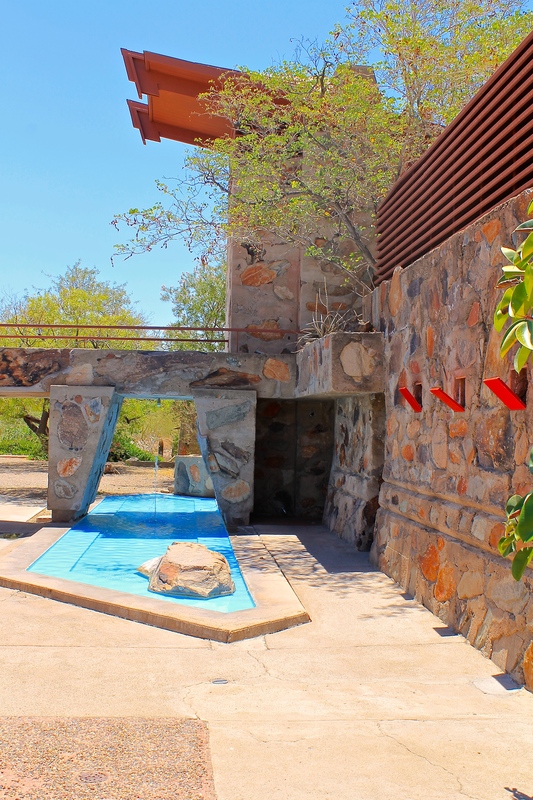 Organic architecture is not to be confused with sustainable architecture. Sustainable can be a trap in which all things carefully ordered by an organic architect naturally fall. Architecture which is organic is grown from initial site conditions vexed with a program delineated by individual constraints. Such as, Wind, Solar orientation, ground conditions, slope of the hillside, and all things related to healthy, natural, and organic living including psychology, colors, and materials, directional transit, etc. Sustainable architecture is architecture that seeks to minimize the negative environmental impact of buildings by efficiency and moderation in the use of materials, energy, and development space and the ecosystem at large. 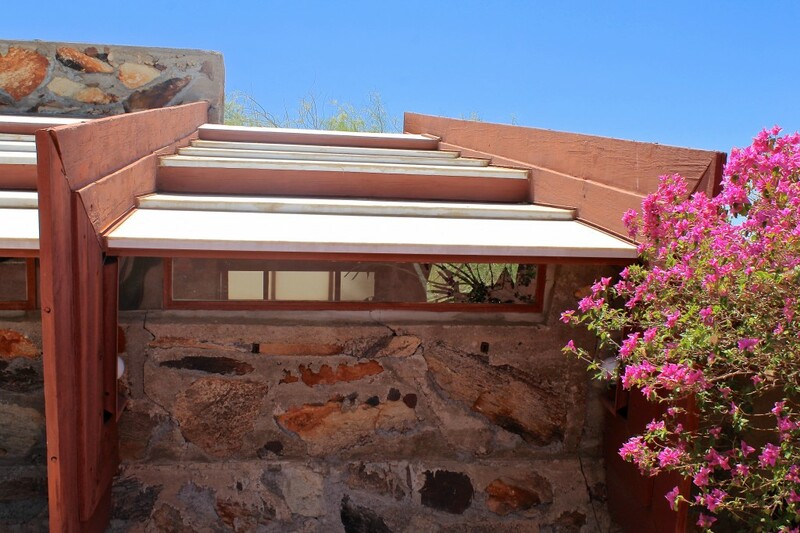 It is just a very small microcosm of what traditional organic architecture represents. Speaking mainly for myself I personally cringe a little bit when I hear an interior designer speaking about sustainable architecture as the new catch-all for everything that’s needed in architecture.